And the winner of the Ottawa Senators GIF of the year is JASON SPEZZA! Let's see how he got there. In the top 16, Spezza demolished Chris Neil, taking 90% of the votes. In the top 8, Spezza took 65% of the votes against Marc Methot's summer dancing. 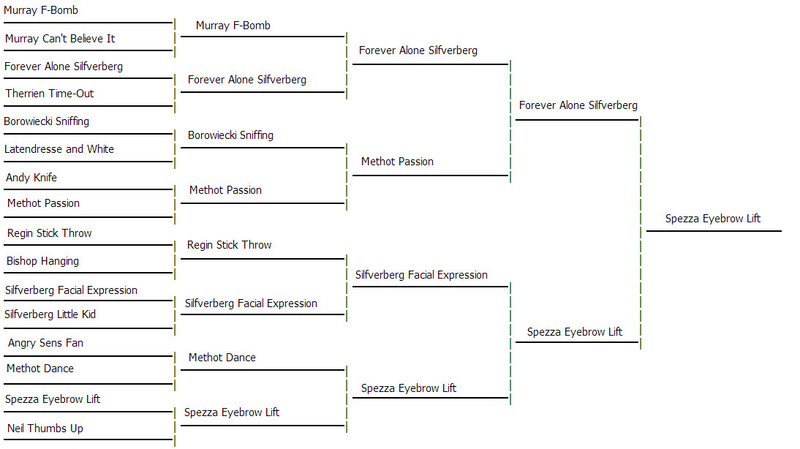 Continuing to the top 4, Spezza eliminated the first Silfverberg handily, taking 80% of the votes. And as expected, the final lived up to expectations in a close race where Spezza barely won with 52% of the votes. So how do you feel about winning the GIF of the year Spezza?